Halloween is right around the corner and what better way to celebrate than to pull out your best makeup and mink lashes? We’ve compiled a list of our favourite easy halloween makeup ideas to help inspire your best Halloween look. The good thing about using one of these Halloween makeup ideas is that you don’t have to spend a lot of money on a costume, you can just use your makeup instead! 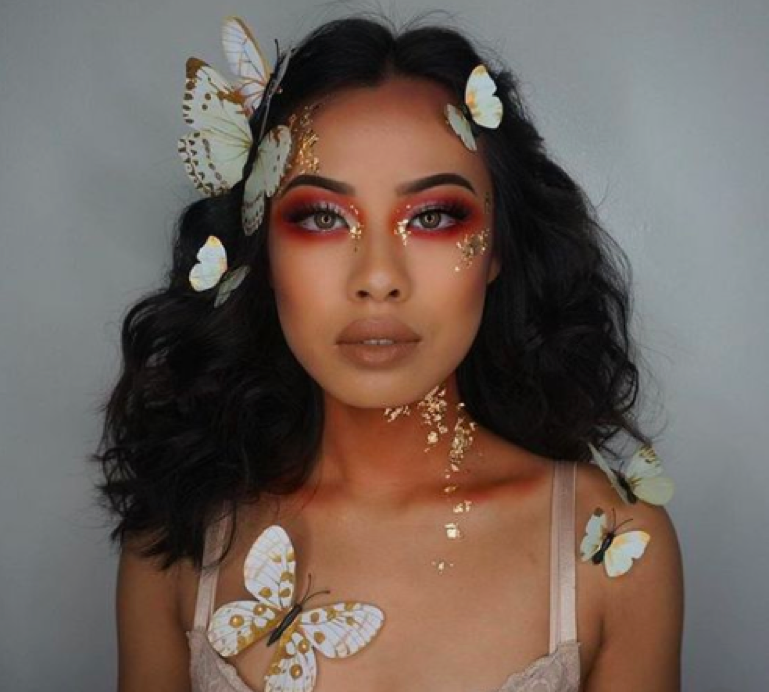 Harness the beauty of nature with this gorgeous butterfly fairy look. Make your eyes stand out with red and brown eyeshadow and apply some long wispy false lashes for dramatic effect. Finish your look with some butterflies and some gold leaflet. 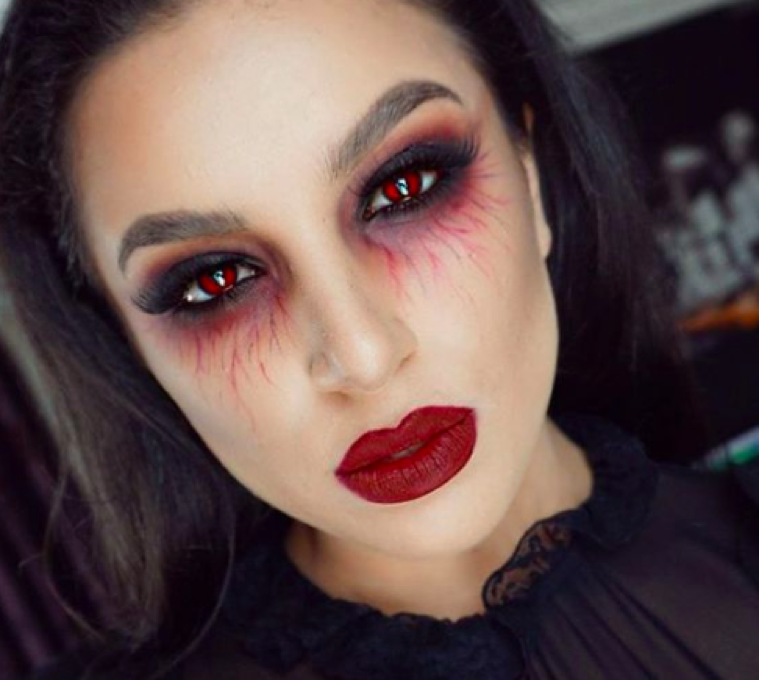 Vampire costumes for Halloween is a classic but this makeup look takes Vampires to a whole new level. Apply some black eyeshadow around your eyes to give them a sunken look, then apply some red eyeshadow in streaks around your eyes to give the appearance of veins. Finish with some blood red lips and some striking red contacts. Pastel colours and galaxy patterns are all the rage lately and this Halloween incorporates both trends in one. Part your hair down the middle and tie them into two high buns. Then, apply some pink, blue and purple eyeshadow all over your eyes and nose. 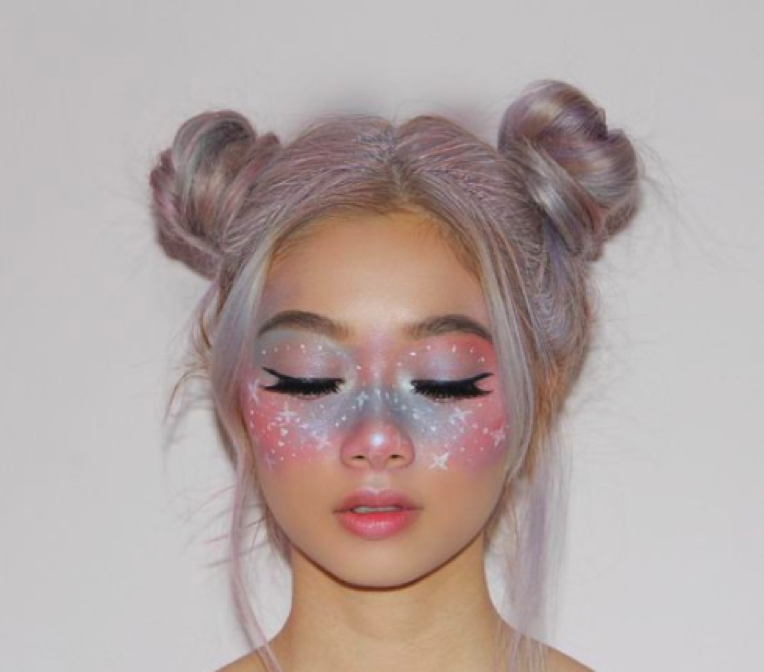 Finish with some winged eyeliner and some white stars and specs to give the appearance of a galaxy. 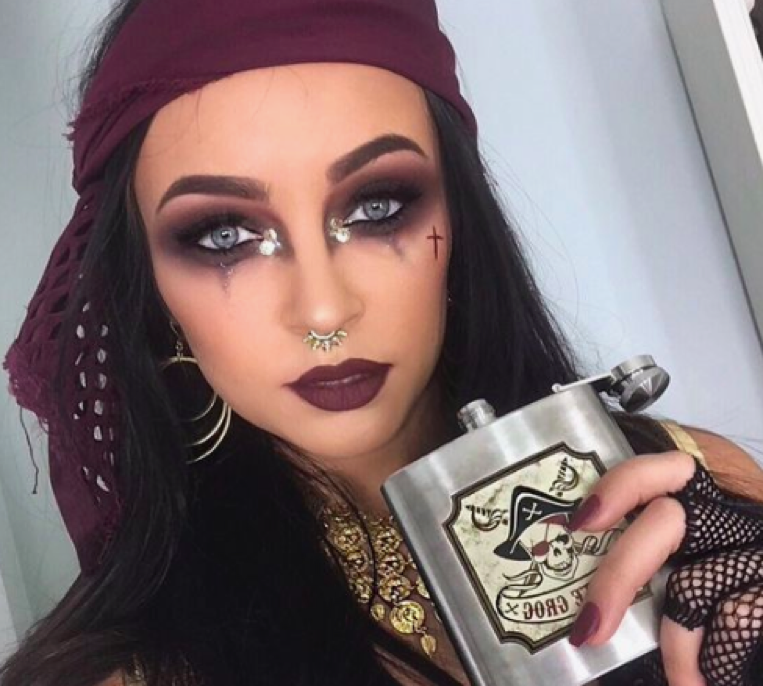 Recreate Johnny Depp’s costume in Pirates of the Caribbean with this pirate makeup look. Apply some dark brown eyeshadow and black eyeliner around your eyes to give them a dusty pirate look. Next use some silver glitter in the inner corners of your eyes to make them pop. Complete your look with some dark brown lipstick and some fluffy silk lashes. 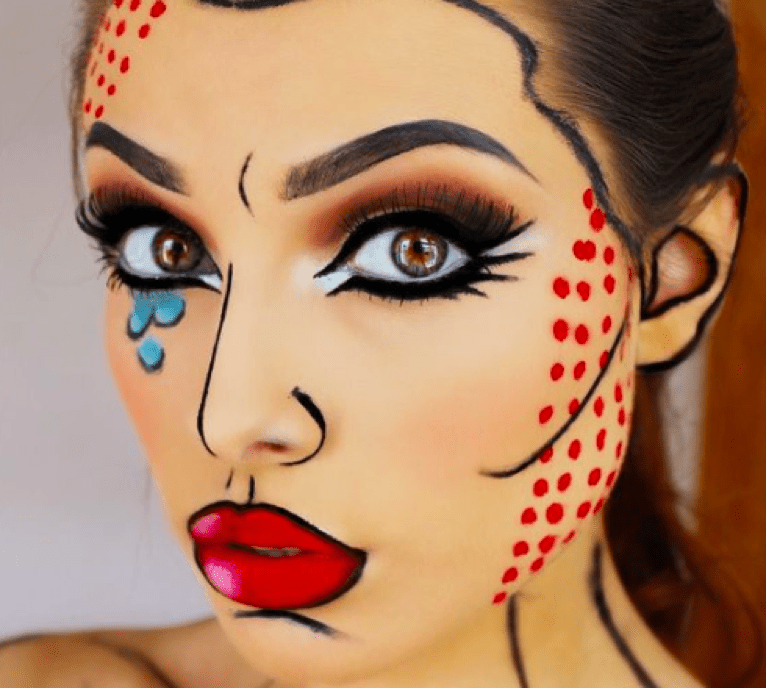 Channel your inner Andy Warhol with this pop art inspired makeup look. Use a crayon eyeliner to draw out the details of your face e.g. eyes, cheekbones, lips, eyebrows, nose and face. Apply some bold red lips and red dots to the corners of your face. Finish your look by applying some white eyeliner to the corners of your eyes and lips. 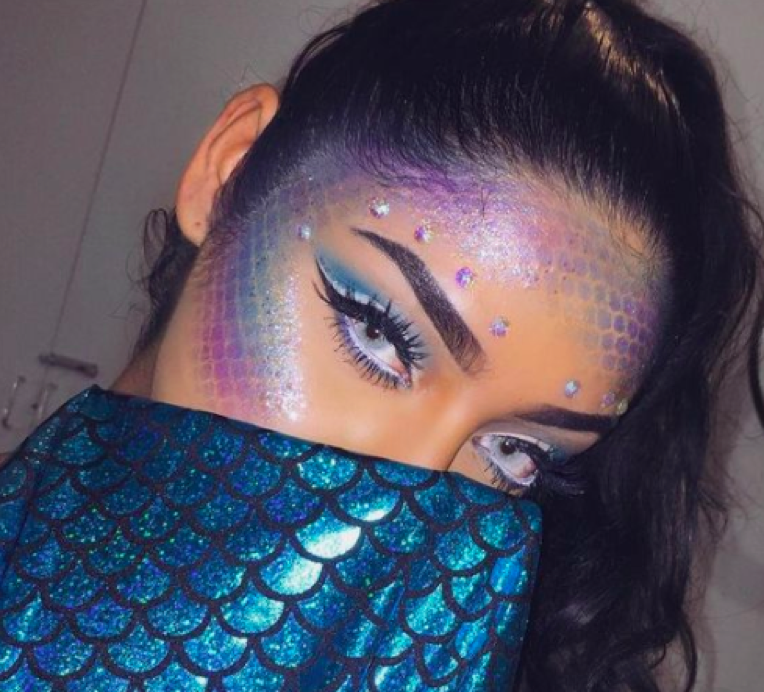 This underwater inspired makeup look will take you from land-dweller to little mermaid really quick. Put a paid of fishnet stockings over your head and apply some purple and blue eyeshadow to your cheekbones and forehead to give yourself a scaly look. Next, apply a bold winged eyeliner and some fab strip lashes to complete your look. 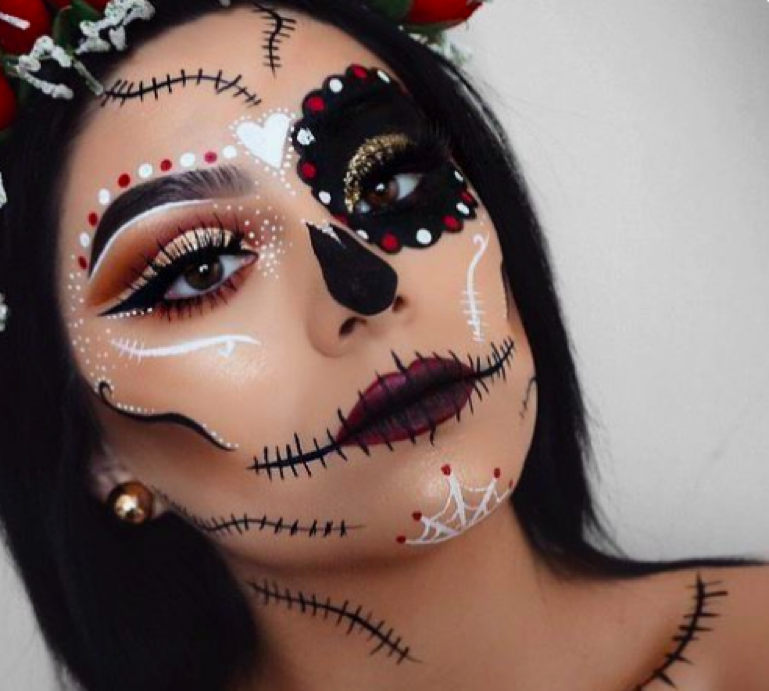 Celebrate life and death with this stunning day of the dead Halloween makeup look. Start by contouring your face heavily and defining your features with a crayon and liquid eyeliner. Then, apply some gold glittery eyeshadow all over your eyelids. Finish your look by blackening one eye and applying some festive designs in white and red paint to your face. Now that you’re inspired because you’ve seen our favourite Halloween makeup looks, go forth and recreate your own Halloween makeup looks at home. Good luck!